The population of the Kilombero District in Tanzania is heavily reliant on agriculture. Approximately 100,000 small-scale farmers cultivate predominantly rice and cocoa. On average, their fields are only around 0.5 hectares in size. Roughly 35% of the farmers are female. Economic dependence and lack of management knowledge lead to high losses during both harvest and processing, resulting in insufficient income. 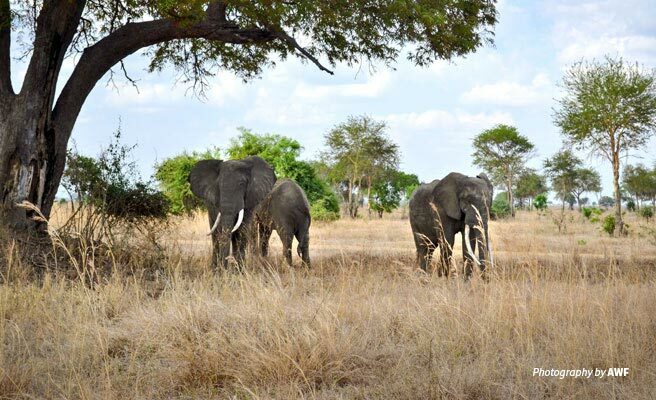 African Wildlife Foundation, Global Nature Fund (GNF) and the Tanzania Forest Conservation Group (TFCG) set up a consultation program for 2,000 small-scale farmers from 13 different villages adjacent to the Kilombero Nature Reserve and wildlife corridor. Pastor Magingi, AWF Project Manager in Ifakara, states: "The goal is to increase the income of the smallholders by providing support on better cultivation techniques and new marketing opportunities to increase the profit from the sale of rice and cocoa. The intention is to help to further a number of small businesses in the economy and also prevent the expansion of agriculture fields into nature conservation areas thereby avoiding human-wildlife conflicts." Kathleen Fitzgerald, AWF Vice President, Programs East and Southern Africa, explains: "The project Inclusive Green Growth aims at enhancing nature protection and biodiversity conservation in this amazing location, while simultaneously improving the lives of the local communities. To achieve this, we help the small-scale farmers to generate a higher income from their agricultural activities and better linkage to market, in exchange for conservation of the natural resources. Through the GNF partnership, we are emphasizing the protection of habitat corridors. On the one hand, we want to conserve and maintain essential migration routes for critically endangered and charismatic species, such as elephants and lions. On the other hand, human-wildlife conflicts can be prevented by reducing the impacts on fields by wildlife and therefore the strain on farmers." A relevant market for the agricultural produce is a necessity to ensure a sustainable and stable income for the farmers. As part of the project, collaborations are set up with small local processing plants that pay a significantly higher price for cocoa to the farmers. The access to an appropriate market and higher revenues serve as a strong motivation for the farmers to conserve habitat and resources adjacent to the Kilombero Nature Reserve and the vital habitat corridors. All actions within the project were designed to create a constructive dialogue between the farmers and the reserve authorities. Other benefiting stakeholders are the administration of the Kilombero District as well as the Sustainable Inclusion Strategy for Growth Corridors in Africa (or SUSTAIN) program, an IUCN initiative led by the AWF. Maintenance of the buffer zones and commitment to jointly defined harvest quotas are controlled by selected Natural Resource Committees. Adequate documentation and regular checks of procedures are necessary to ensure that nature conservation is integrated and efficiently implemented in each step of day-to-day farming. 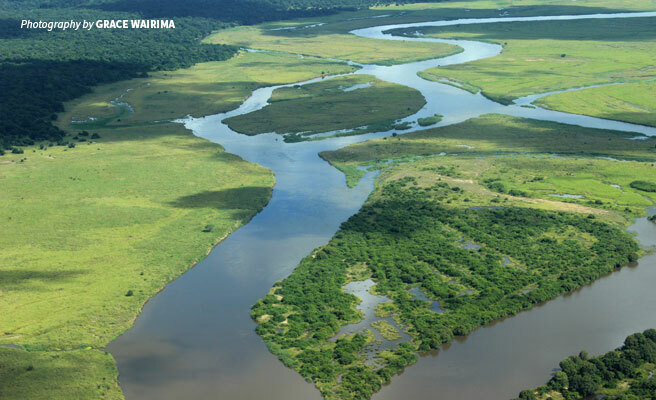 AWF has been operational in the Morogoro Region for many years and is instrumental in coordinating environmental activities in the areas of Ihemi and Kilombero. Working alongside IUCN, AWF has extensive experience in community development and integrating nature conservation into successful agriculture. The community of Ifakara, capital of the Kilombero District, is located in the rural center of Tanzania, approximately 500km west of Dar es Salaam. Instead of flat savannah, the project landscape is luscious and green, surrounded by the impressive Udzungwa Mountains. Due to incredibly diverse rainforests, the 2,500m high mountains are the key component of the Udzungwa Mountains National Park and represent an essential source of water to the surrounding area, inhabitants, and economy. The landscape developed over thousands of years, whereby water and climate worked as landscape architects. The Kilombero Valley contains the biggest freshwater wetland area in Tanzania, offering unique habitats and ecosystems with large amounts of fertile soil. 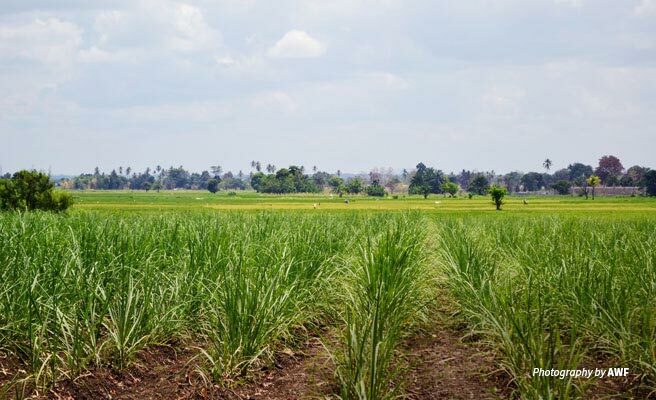 The Tanzanian government has heavily encouraged the agricultural development of the land over the past years, resulting in several large-scale operations, such as industrial rice grower and miller Kilombero Plantations Limited. Kilombero’s current population of 500,000 is growing rapidly, which has obvious effects on the environment. Over-exploitation of natural resources increases the stress on natural ecosystems such as the Kilombero Nature Reserve and the Ruipa wildlife corridor, which is an important feature for the conservation of wildlife populations. Migration of species along the corridor is a source of discontent for the farmers and leads to conflicts between humans and nature. In partnering with GNF and local groups like TFCG, AWF aims to create a landscape that thrives both ecologically and economically. This article was originally published on Global Nature Fund. Udo Gattenlöhner is an Agricultural Scientist and Executive Director of the Global Nature Fund.